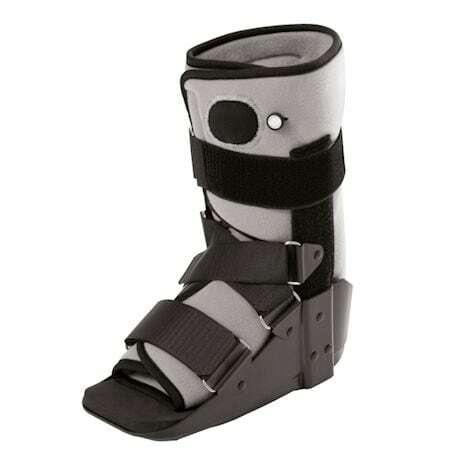 The Adjustable Air Ankle Walker is the new standard in orthopedic ankle braces. Integral air pumps allow user to adjust compression while adjustable cross straps immobilize the ankle. Curved bottom matches your natural gait allowing you to walk normally. Moisture wicking liner lets you comfortably wear the Adjustable Air Ankle Walker all day. Fits right or left ankle. Blue. Sizes: XS- XL. See size chart. Imported. Item can only be shipped within the Continental US.